The costs for spent nuclear fuel handling, storage, and disposal are yet another subsidy the commercial nuclear power industry enjoys. This is estimated by General Accounting Office as $25 billion. Spent fuel handling and storage is an expensive, and critical aspect of nuclear power that is a burden to present and future generations. From the NRC, the basics of the problem are shown below. The key point is that approximately 80,000 metric tonnes (88,000 US tons) already exist in storage at more than 100 nuclear reactors in the US. Approximately 60 percent more than that (140,000 metric tonnes, 154,000 US tons) is anticipated to ultimately exist in the US, if no new reactors are built and the others run as anticipated. The US government has the burden of either reprocessing the spent fuel, or long-term storage of the highly radioactive waste. The cost for the US to deal with the spent fuel is estimated at approximately $25 billion. 1. All U.S. nuclear power plants store spent nuclear fuel in "spent fuel pools." These pools are robust constructions made of reinforced concrete several feet thick, with steel liners. The water is typically about 40 feet deep, and serves both to shield the radiation and cool the rods. a. Controlling the configuration of fuel assemblies in the pool to enhance the ability to keep the fuel cool and recover from damage to the pool. b. Establishing emergency spent fuel cooling capability. a. Of that total, 48,818 metric tons – or about 78 percent – were in pools. b. 13,856 metric tons – or about 22 percent – were stored in dry casks. 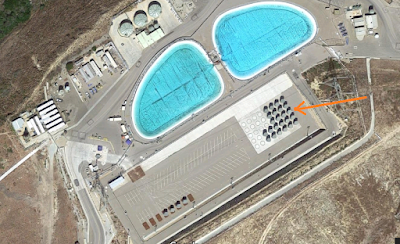 spent fuel in the pools is provided by maintaining 23 feet of borated water over the spent fuel. Heat is removed by a cooling system which constantly re-circulates the spent fuel pool water through heat exchangers. 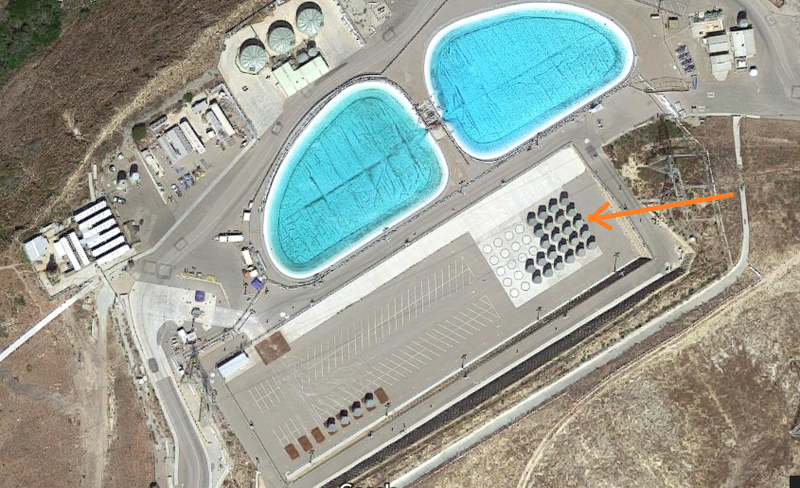 The base of the pools are below grade level, on bedrock, and the walls of lower portions of the pools are also below grade, such that the top of the spent fuel storage racks are near the exterior ground level to the east of the Auxiliary Building. DCPP has redundant capabilities to add water into the spent fuel pool – even with the loss of electrical power. Older spent fuel is stored at the ISFSI in dry casks, which are totally sealed from the environment in a Multi-purpose Canister (MPC) that is constructed of stainless steel. The MPC is placed into a massive overpack that is over 20 feet tall, and is constructed out of two steel vessels, each 1 inch thick, with the space between the vessels filled with approximately 28 inches of concrete. The overpacks shield against radiation exposure and encapsulate and protect the MPCs. The dry casks are seismically qualified and anchored to a steel reinforced concrete pad over 7 feet thick. The dry casks utilize a totally passive cooling system that requires no electricity or pumping to safely cool the fuel. Rather, the system uses naturally occurring convection to pull cool air in at the bottom and allow warmer air to exit the top of the cask like a chimney."